Hurricane Florence is getting worse. While people on the ground are preparing for floods, high winds and surging waves, the satellites and astronauts in orbit are looking down on the storm from above, and the views are startling. NASA released a video of the hurricane on Monday as captured by cameras mounted outside the International Space Station. The ISS was flying 255 miles (410 kilometers) above the storm when it got the footage, which NASA describes as "dramatic." The video tracks across the swirling clouds at the outer edges of the hurricane before passing over the eye. The video also includes still images from NASA astronaut Ricky Arnold, who photographed the storm from the ISS. The massive storm is threatening the East Coast of the US with an expected landfall early Friday. South Carolina and North Carolina are evacuating people living in vulnerable areas along the coast. "Watch out, America! 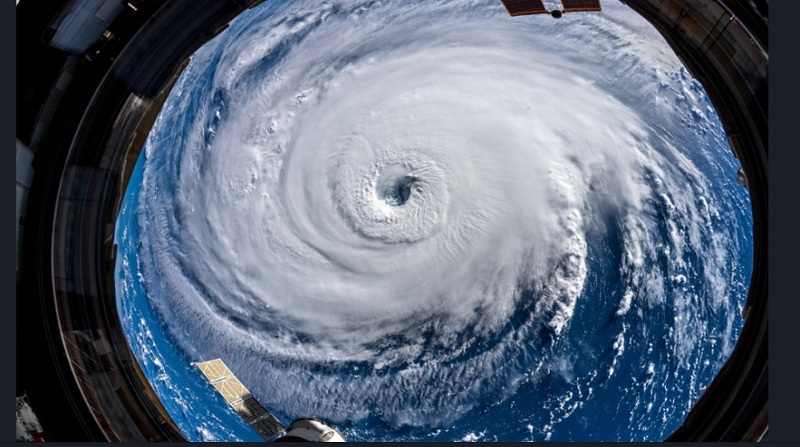 #HurricaneFlorence is so enormous, we could only capture her with a super wide-angle lens from the @Space_Station, 400 km directly above the eye. Get prepared on the East Coast, this is a no-kidding nightmare coming for you," Gerst writes.